I'm semi-retired and moved to Florida a few years ago. I had a home inspection done and decided to learn how to become a home inspector. Your home inspection training jumped out at me because I could take the course online from home and use my iPad. It took a little more than three weeks to finish the course, but less than one week after receiving my Florida home inspector license to start my own business down here and inspect my first home. I'm now working 2-3 days a week and loving it! Thanks! Providing you with the skill set needed to conduct a professional home inspection and the tools and training to start and expand a successful business. 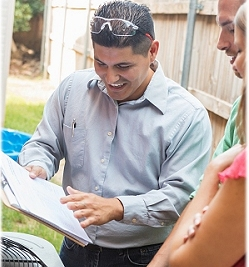 We stand behind our home inspection training unconditionally with support 12 hours a day, a 30-day money-back guarantee and a personal commitment to your success. Welcome to North America's most trusted school for home inspection training and certification. Over the past two decades PHII has successfully trained and certified over 20,000 home inspectors in the U.S. and Canada. In fact, we founded the industry's first online home inspection training and certification program. We provide a national online home inspection course you can complete online at your own pace, and you can attend face-to-face home inspector field training at our classroom facility for no additional fee. We provide quality home inspection training at an exceptional value with over $1,000 of value-added bonuses. 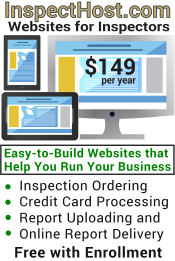 All students receive free home inspection report software for unlimited devices, a $399 savings, plus a free business website with online credit card processing and online home inspection report delivery. PHII will help you establish a turn-key home inspector business without breaking the bank. 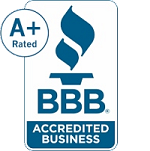 PHII can help you enter the home inspection industry or expand your current home inspector business to include mold inspection or mold remediation certifications, NRSB-approved radon testing, energy audits, weatherization, infrared thermography, odor remediation services and much more! 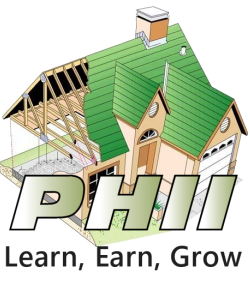 PHII offers over 30 courses with more than 800 hours of training and numerous certifications to help you learn more, earn more and grow your home inspection business. 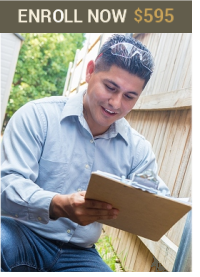 We offer continuing education for home inspectors, equipment, report software, and marketing support to help get your home inspection business up and running. At PHII our mission is to provide you with the best home inspector training to prepare you for a successful real estate career, along with the support you need down the road. PHII trained home inspectors are never alone. PHII's home inspector training courses are truly at your pace. Every online course comes with instant access and can be completed in 1-2 weeks, or you can take as much time as you need. You always have access to PHII course material and support, plus as a NAAHI-accredited gold-level training provider, we can offer our graduates a free 1-year membership in the non-profit North American Association of Home Inspectors (NAAHI), an additional $199 value. Why Choose PHII Home Inspection Training? PHII offers the most complete, self-paced home inspection course on the market today. You receive instant online access along with a package of co urse materials for offline use. Our course management system is unmatched in features and interactive technology. You can take PHII's home inspector training course on almost any electronic device including tablets and smart phones. Unlike other online courses, there is no time limit and your access to our course system never expires. PHII graduates are lifetime-certified and can return to refresh their training at any time for free. With some home inspection training providers you remain a certified home inspector only as long as you continue to pay annual dues. Your PHII home inspector certification is a permanent credential you can proudly display for your entire career with no recurring certification charge. You can also add your PHII Trained and Certified logo on your website or home inspector marketing materials. The first step is to check our State Licensing page to determine the home inspector licensing requirements in your state, then to select the best training option, whether it's classroom or online. PHII offers the most affordable tuition in the home inspection training industry. We provide up-to-date home inspection course material and a turn-key system for setting up your own home inspection business all for one low price. PHII provides all the resources and instructional materials you need to get started and allows you to take your time or push yourself through quickly.